This Full-Size foam tray is divided into 4 compartments. 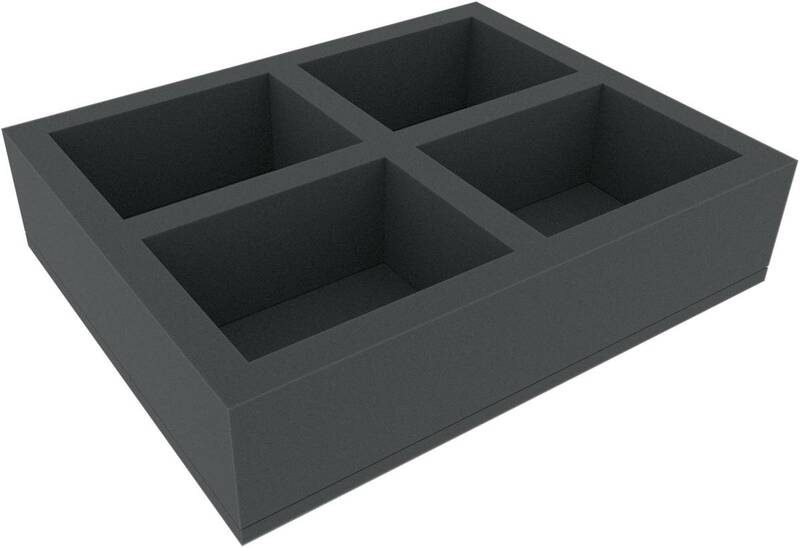 The four compartments of equal size are ideal to safely store larger figures, such as vehicles, monsters or character models, from various board games and tabletop systems. 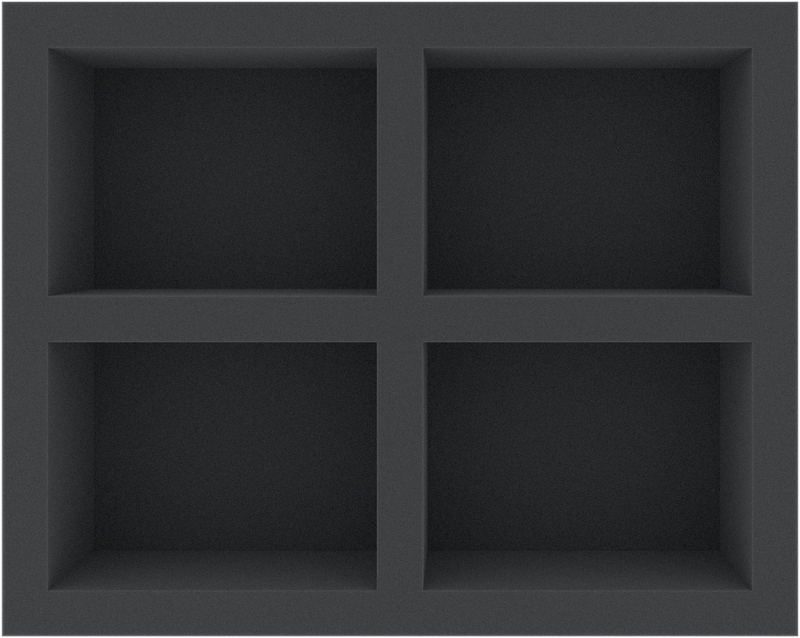 You can also store game material (e.g. tokens or tiles) and other small parts neatly and orderly here. Each of the 4 compartments is 142 mm long x 108 mm wide x 70 mm deep. The foam tray has the dimensions: 345 mm x 275 mm x 80 mm total height (70 mm usable height + 10 mm foam base).